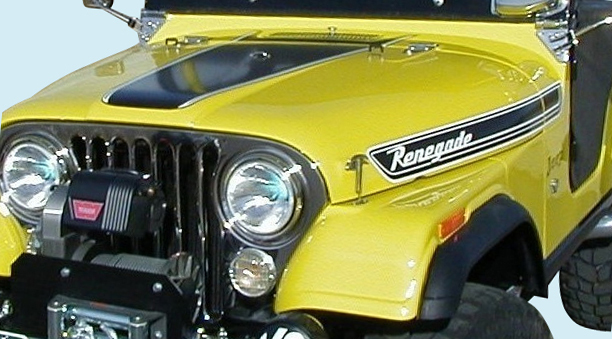 1972 1973 Jeep CJ Renegade Mopar Authentic Restoration Product correct Two-Color decal stripe kit restores repairs your Renegade to OEM standards to look like it just rolled off the assembly line. Manufactured with the highest quality 2ml Automotive Grade Cast Vinyl it meets or exceeds factory specs. Increase the value of your classic 4x4 with a stripe and decal kit from Phoenix Graphix.